But I don’t like to practice….! How many times have parents heard that phrase, as they exasperatedly prod their child for what seems like the hundredth time in the day. 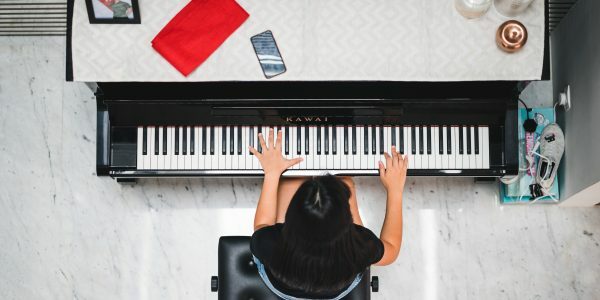 Sometimes, as parents or teachers, we wonder why our child is not more grateful of all the time and money we have spend on their piano lessons. Why they get bored and would so much rather go do anything (even chores sometimes) instead of honing their skills as budding Mozarts! Of course, that was the exception – we mostly got our practice done with only some minor grumbles. Now that I have grown to love playing and teaching piano, I believe my attitude toward practice has changed slightly. Although it is extremely important to put in the effort during the week to work on your pieces, I believe the teacher, parents and the musical environment of the child are extremely important in motivating a child to practice, and make the difference between a child who drops out within a few months to a year, to a child who grows up loving the piano, even if he/she will never become a concert pianist. This is the first point, because it is also THE most important aspect of a child’s experience with the piano. The unfortunate thing is that piano teachers tend to teach based on the way THEY were taught as students. And sometimes things that worked back then don’t work now. Kids in this time (2000’s and beyond) value instant gratification and familiarity. They want something to be rewarding NOW and want to have FUN doing it. When I attend workshops on how to “tame the practice monster” or how to inspire kids to practice, inevitably, the number one response from teachers is that their students just want to have FUN! The problem is that those attitudes were not valued or entertained when we were learning music as children. I’m sure people in an older generation than I can recall horrific teachers who would yell or become visibly angry or even hit their hands or wrists! As a result, many teachers have to adjust their approach, from the way they were taught, to a way that is more effective for the present; from a disciplinarian to a c0-explorer or mentor in music. It’s my job as a teacher to inspire and also motivate my students to practice. 99% of students who begin piano lessons will not become a concert pianist. But many teachers instruct their students as if 99% of them will become professional musicians (not taking the time enjoy making music)! Therefore, I am striving to make lessons informative and helpful, but also inject fun and enjoyment. Kids LOVE to imitate or play tunes that they know or are familiar with. You don’t know how many times I’ve been asked to teach them the latest Bruno Mars, or LMFAO, or Katy Perry or Adele songs! And they love learning these tunes! However, since I may be the first person to expose them to classical music or music written hundreds of years ago, I try to find a way to spark interest in these gems. I like to talk a bit about where a piece comes from, who wrote it, in what time period, and some context. I find that goes a long way to understanding why a piece is so important or famous. I would much rather be a teacher who instills a love of all kinds of music, instead of a teacher who “produces” a high-achieving pianist who never touches the keyboard again once he/she finishes the top level! (I have many friends who have completed the top level in piano, only to resent it and never return to it). The exciting thing is that each student is unique and may be motivated by different things, so I must continue to find new ways to push my students. A relatively new approach to teaching is focusing on the internal musician inherent in every child. Music is a universal language, and music can speak to everyone, regardless of whether they appreciate the modulation to E flat in a piano sonata, or the diminished 7th progression in a jazz piece, or just find something “sounds good”. I recently attended a workshop by Forrest Kinney, author of the acclaimed “Pattern Play”. He showed that a student can already begin to play piano and express their inner musicality on their first piano lesson!. He explained how anyone can improvise on the keyboard, and encouraged all the teachers to incorporate more listening and creativity during their lessons! He explained that although improvisation is generally viewed as something mysterious and for advanced jazz musicians, it is something that can be easily learned and improved upon, using his methodical books (series of 6 books). Go to http://patternplay.com/index.php?option=com_content&task=view&id=18&Itemid=41 for more info. Previous Post Can music make your child smarter? Next Post But I don’t like to practice….PART2!